This particular location is “Hautere”, just inland from the better known location of Te Horo. We know Hautere by its stone “turnips”, likely brought down from the ranges from a once more powerful river. Evidence of this geological process is the place name “Te Horo”, which means “the landslide”. Further evidence of the power of the river is the fact that it gouged out a substantial gorge [see Hidden treasure at Otaki Gorge]. This view is looking north-east, towards the Tararua Ranges. 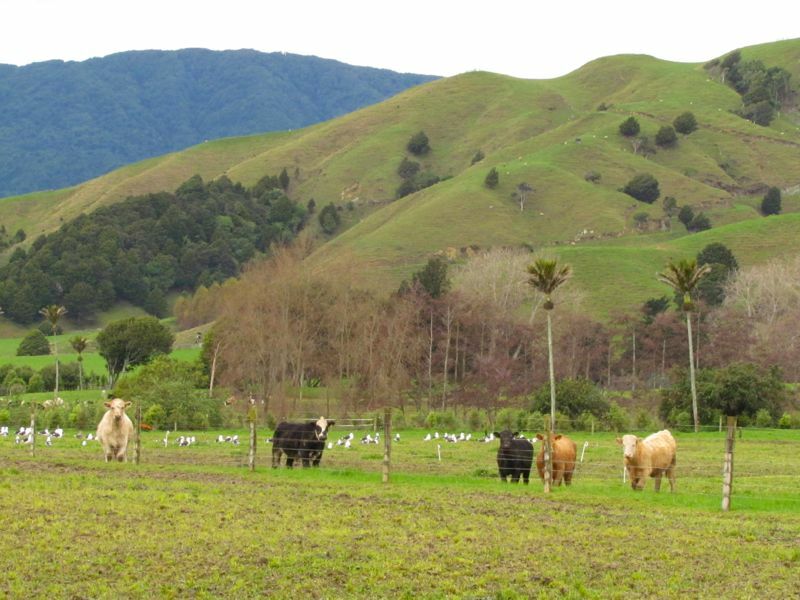 North of here is the Otaki River, and in the background can be seen the distinctive blue of the Tararua Ranges. 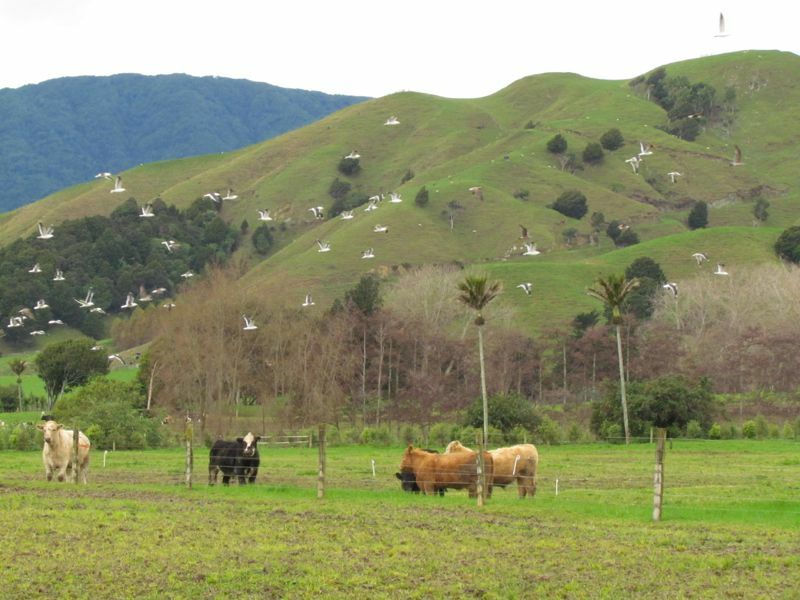 Interestingly, this paddock, occupied by cattle, is shared with a large flock of seagulls. The location is around 7 kms from the sea as the crow (or seagull) flies, so there is clearly something here worth making the flight for, or perhaps seagulls simply like the company of their bovine friends?